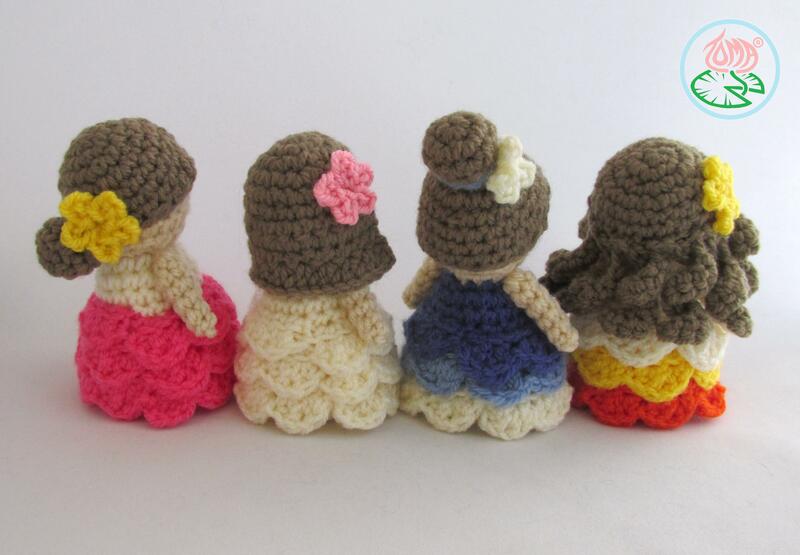 This is a new version of my old pattern of Amigurumi Mini Princesses. 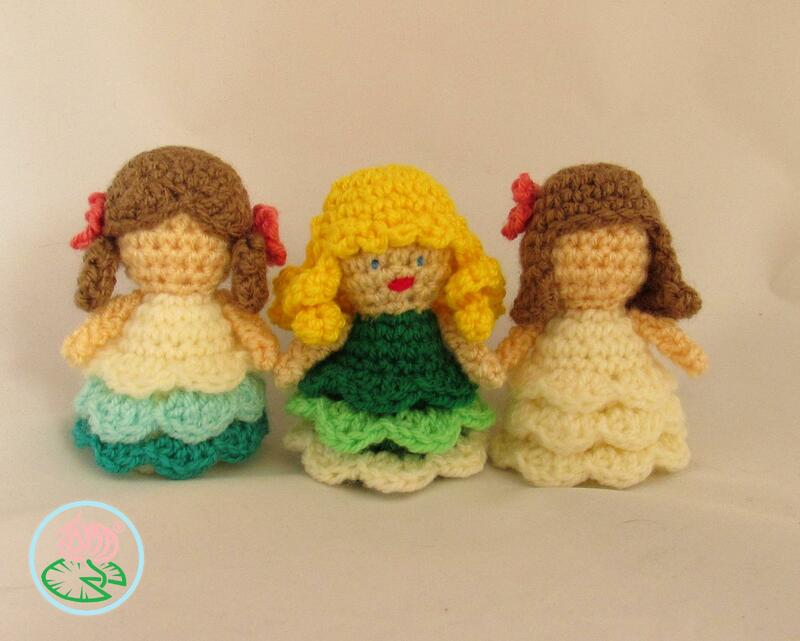 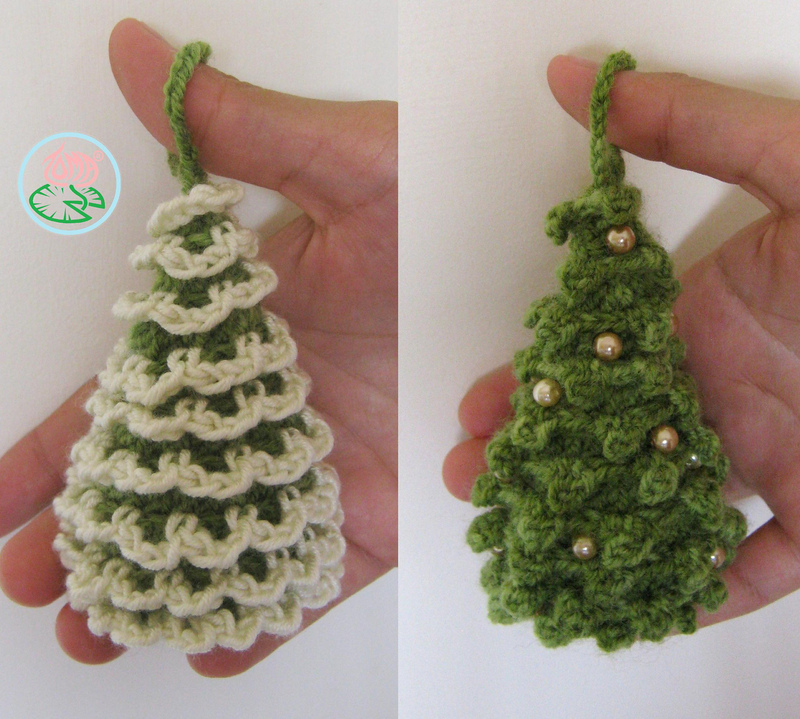 More photos, few extra crocheted rounds, new hair and dress styles are added. 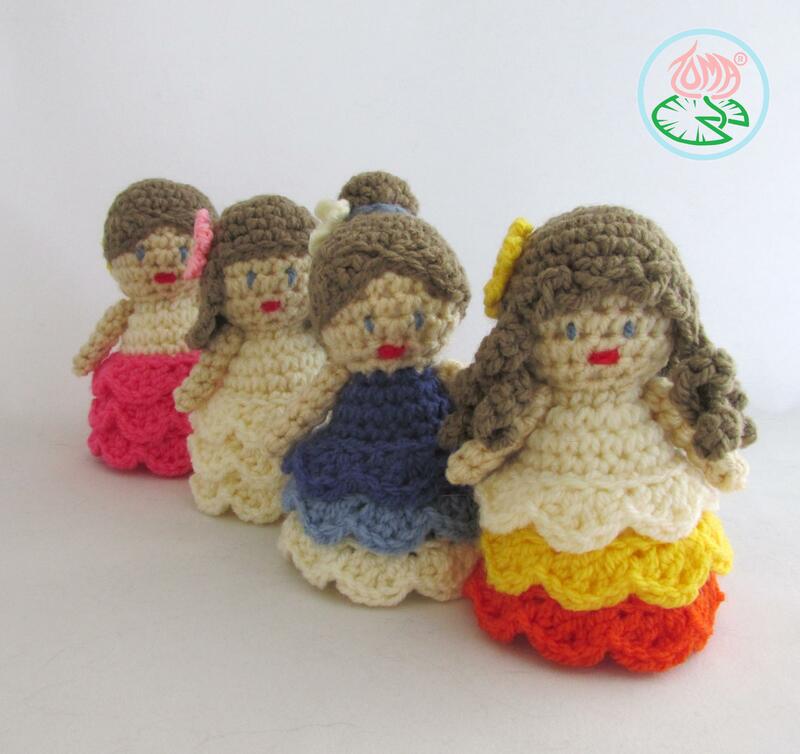 This is a PDF pattern of an adorable Princess doll that fits into your hand. 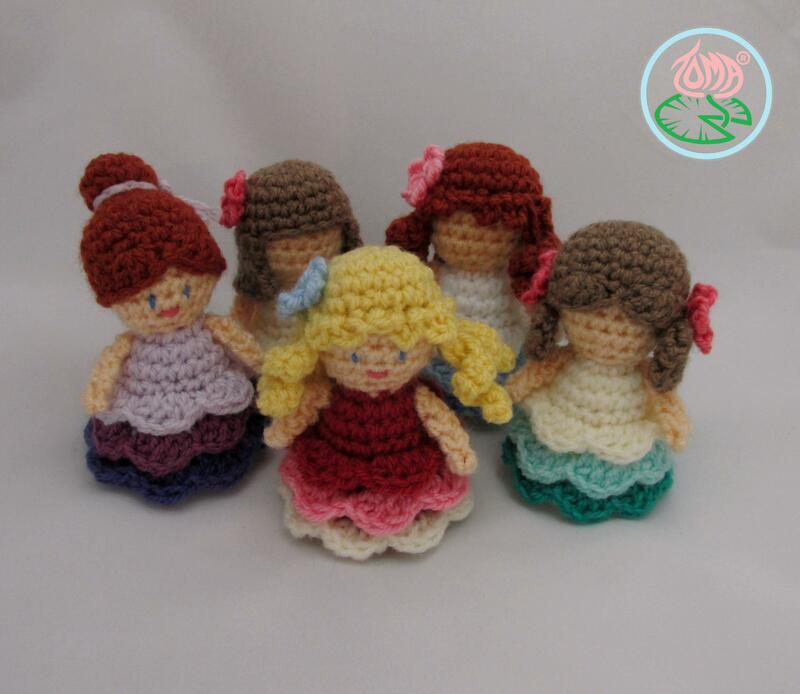 With this pattern you will be able to make four types of hairstyles and three variations of dress, one colour, two colour or multicolour. 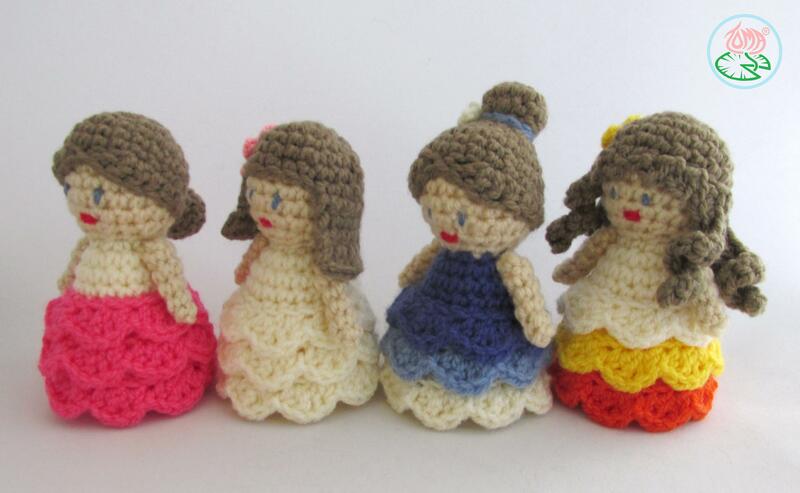 The combination of hair and dress styles are unlimited which makes you want to make more and more :))).